Good news, everyone: Biologists have discovered a species of marine worm that, when still in its larval stage, is nothing more than an algae-gobbling, disembodied head. Most animals have at least a semblance of an adult-like body when they’re young. 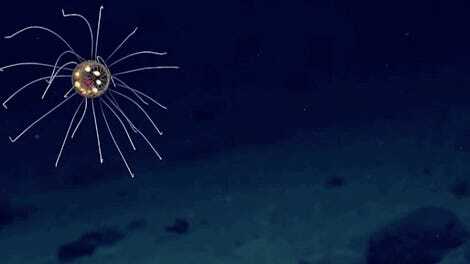 But a new study published in the journal Current Biology shows this isn’t always the case, and that for some sea creatures, bodies are completely overrated. The marine acorn worm Schizocardium californicum lives for months as nothing more than a head, swimming around chomping algae. The discovery of this odd mode of development is shedding new light on a poorly-understood organism, and on how early life may have evolved on Earth. Larval animals like the acorn worm undergo “indirect development,” changing dramatically from their initial birth stage to the adult stage (the caterpillar turning into a butterfly is a supreme example). 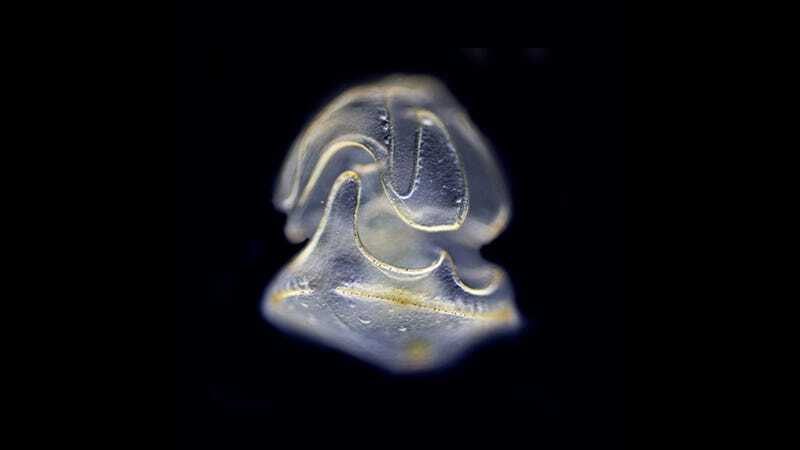 In an effort to understand this process a bit better, biologists Paul Gonzalez and Chris Lowe from Stanford’s Hopkins Marine Station took a closer look at S. californicum, a creature that’s notoriously difficult to study because of its slow and protracted larval stage. By sequencing and analyzing the worm’s RNA, the researchers discovered that certain genes are switched off, delaying the development of a full-grown body. Over time, and as as the floating heads continue to grow, the worms eventually sprout a trunk. The genes that regulate the development of a body turn on, and the worms grow to about 16 inches (40 cm) after several years. The researchers say Schizocardium californicum is probably not the only creature with this bizarre growth strategy. Indirect development is the most prevalent developmental strategy of sea-based marine invertebrates, leading the researchers to theorize that the earliest animals on Earth used these kinds of strategies to develop into adults.